The SJZ Boom Box rolls out to Taylor Street Night Market, presented by Gordon Biersch Brewing Company and Moveable Feast, with headliner Kenya B Trio. Every Thursday night from 5-9pm, enjoy street cuisine, live music, makers and breweries coming together in the beautiful Japantown neighborhood. 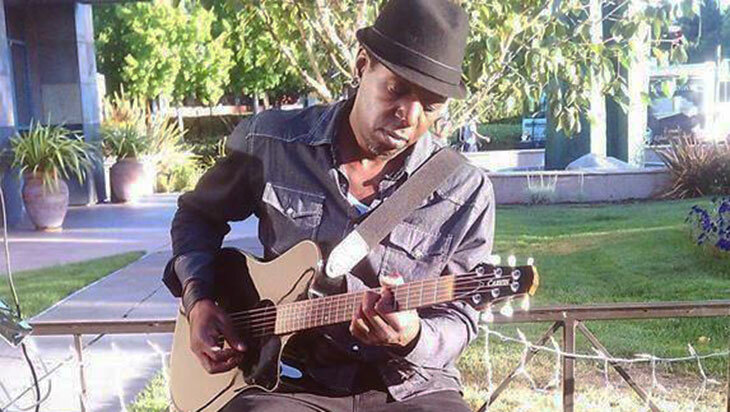 Award winning guitarist Kenya Baker has been a touring musician for much of his career. He was lead guitarist for British singer/songwriter and Grammy Award winner Joss Stone from 2006-2010, touring internationally and playing for dignitaries including President Clinton and the British Royal Family. One highlight was playing for the Princess Diana Memorial Concert at Wembley Stadium, which was attended by more than 63,000 people and broadcast worldwide. In 2013 Kenya formed his own band, the “Kenya B Trio” to play his favorite music – funk, blues, R&B, and jazz. With his trio, Kenya is creating a new kind of blues and funky, jazzy grooves rooted in old school funk.